There are currently 30,658 users on this website. 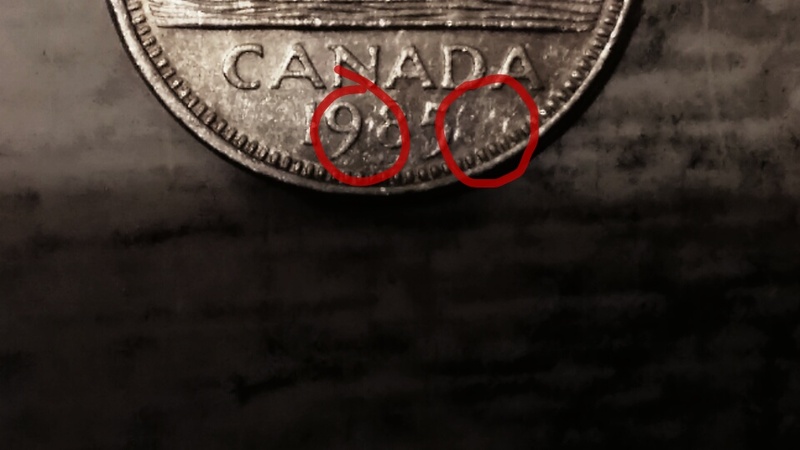 This is a 1985 Canadian nickel I found recently. I have 0 experience in coin roll hunting which is something I recently started due to the weather here in Wisconsin. 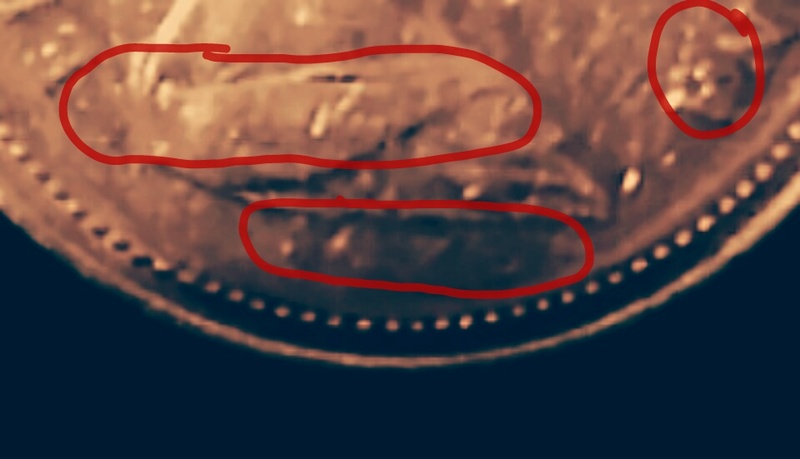 Myself and my phone listed experience believe this nickel is struck over a different coin. I posted some photos(not these) on another forum and was told I'm seeing things wondering if that is the general consensus. 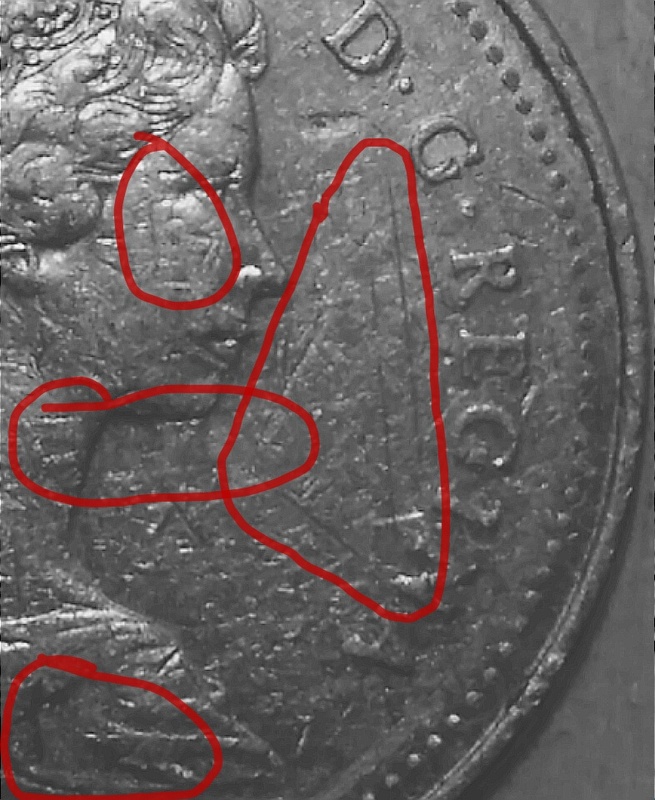 What I see-below the queen I see what appears do be a date-in the at the base of queen I see what appears to be the lines from a previous bust-on the neck I see an I on the left and a stretched E or F followed by other unidentifiable letters on the right-I see outline lines that I believe to be a previous bust. 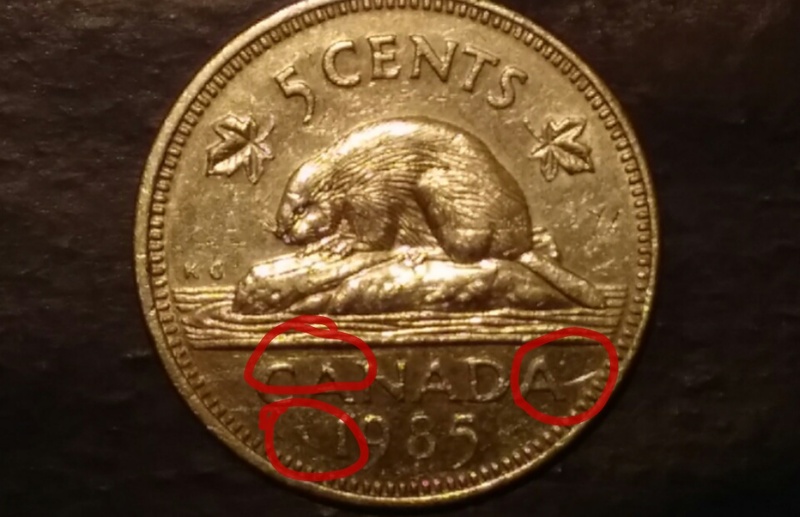 Reverse-i see a curved line off the bottom of A and continuing to rim- I see what I believe to be letters stamped over between the words Canada and the date. 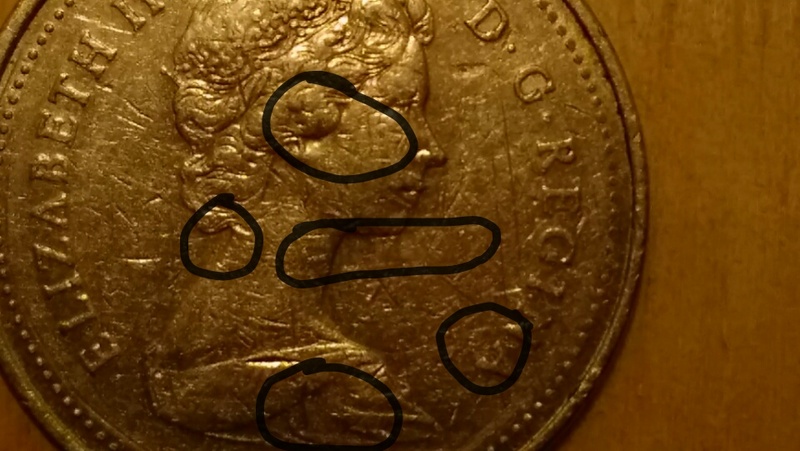 I understand the coin is damaged and perhaps I'm just seeing things but at the same time these elements seem slightly raised so I don't know how it could be damaged. .. what you are seeing is PMD, it has seen better days. I am just confused as to how PMD is raised elements and when you look at coin with the naked eye it just looks like a very shiny nickel. I had adjusted hue and contrast to highlight what I am seeing. All I see are digs and gouges that are recessed and PMD. The only thing raised I see is displaced metal from the external damage. 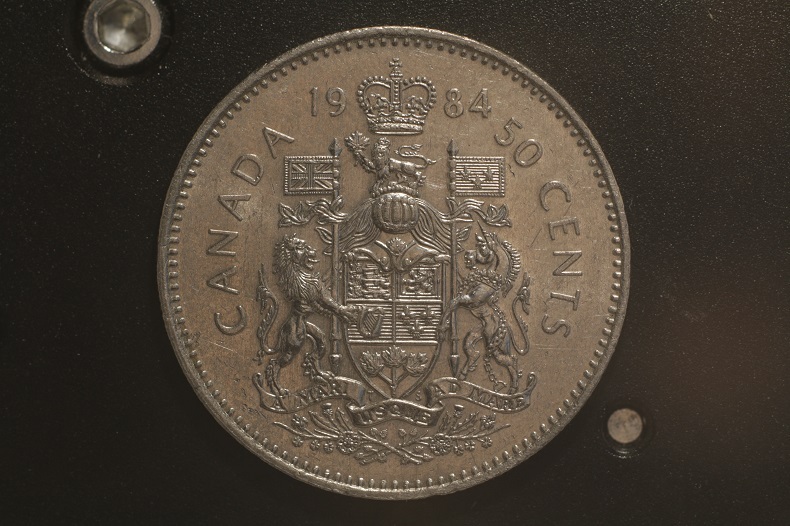 Your coin is just a copper nickel 5 cent piece worth 5 cents Cdn or 3.5 cents US. Your has just been damaged. From those photos I am just seeing PMD. welcome dan. here is a link. you may find some useful information here.